Hi, Sue! Thank you for dropping by to celebrate A Fairy Friend. 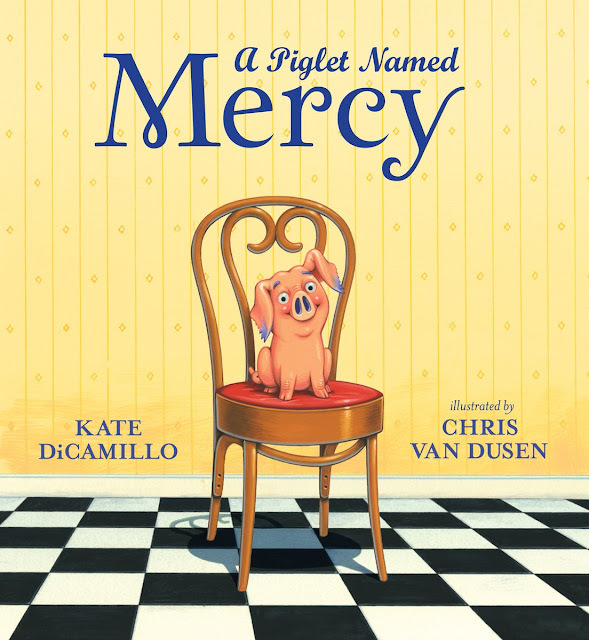 I look forward to picking up and giving away a copy on 5/10. Hi, Mr. Schu! 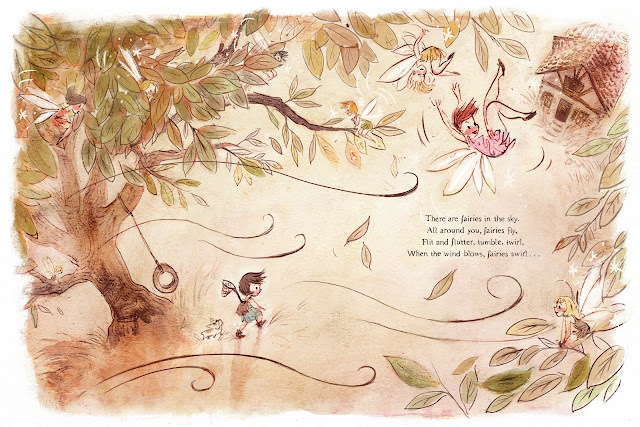 Thanks so much for inviting me to your blog to celebrate my newest picture book, A Fairy Friend. Let’s talk fairies! I’ve always been enchanted by the idea that there could be miniature creatures living among us, too small for us to see, or perhaps too magical for us to encounter. As a child, I used to build tiny houses of rocks and sticks (not nearly as elaborate as the one in my book), in my woods in the hopes to attract something. I wasn’t really picky. I just wanted to one day lift the roof and find something. One day I did! It was a small toad. But that was enough for me to believe that creatures were out there and that perhaps they all had homes somewhere, like the one I’d built for this small animal. Just before writing this, (my first draft was entitled A Faerie Tale, dated September 2011), I remember wanting to write something which captured that sense of wonder I’d felt as a child. Up to that point, I had one book published (Shoes for Me!) and a couple more on the way, which were commercial/concept-driven. I wanted to challenge myself to write something different. And I chose fairies. There was magic, and sparkle and mystery…but when I read it aloud, I realized I’d written it in second person—instructing the reader. My initial reaction was, Who do I think I am, Mo Willems? So I closed the document. And then proceeded to forget about it. As for my career, it is still difficult for me to believe that since 2011, I’ve had 16 books published (4 out already in 2016—oh my!). A friend once said that each sale is like a minor miracle. And it’s so true. I still squeal and call my husband, who can’t believe I still squeal and call him with the news. With every book contract, I thank my lucky stars that I actually have this job. But in that same breath, I remind myself to enjoy it, as tides could always turn. Of course, I hope that is not the case, but I do try to keep it real, remember that it’s still a business—one that is subjective and all about timing and staying relevant, in addition to having good ideas. With nine more books under contract, my career doesn’t seem to be slowing, but I do my best to never take it for granted. Thank you so much for all you do, and for having me here today! 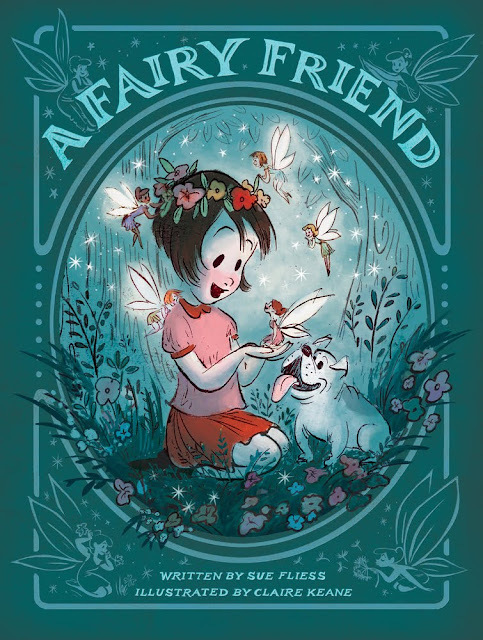 Borrow A Fairy Friend (after 5/10) from your school or public library. Whenever possible, please support independent bookshops. You never cease to amaze me, Sue. I can see from your thoughts here how wonderfully creative you can be.